Dot.MG Review 2019: Is Dot.MG a Good Hosting? Dot.MG is a Madagascan hosting provider offering a selection of budget plans with a unique approach to advertising website hosting resources. Their servers are located in France and the U.S.A.
Dot.MG is a brand of the somewhat amateur-looking Home Made Softwares that was founded in 2009. The company is based in Madagascar and has a primarily Malagasy customer base. Their servers are located in France and the U.S.A., and their quirky website is available in French. Dot.MG has a rather intriguing tagline “internet, the cool way” which, when it comes down to it, means they believe it’s not cool to advertise misleading ‘unlimited’ disk space or bandwidth, so they always include clear resource levels in their plans. Although I don’t really buy the cheesy tagline, I do agree with the sentiment that underlies it. The first set of plans they offer is an affordable range with stripped-down features (e.g., missing cPanel and Ruby scripts) to keep down the cost. 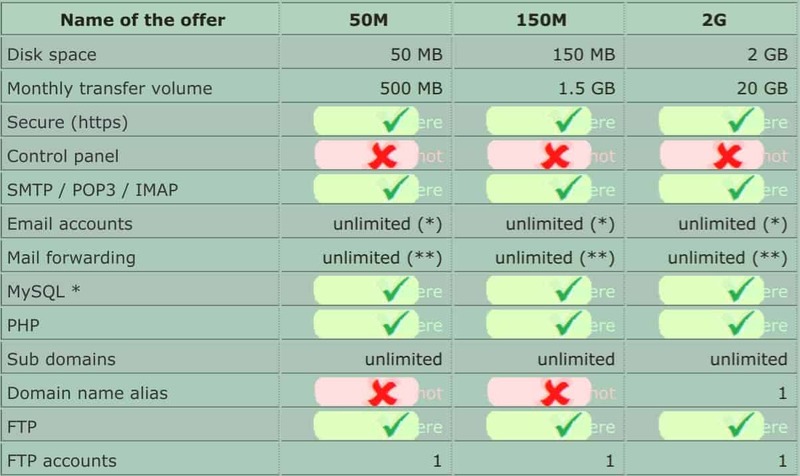 These plans are named according to the amount of disk space they offer: 50M, 150M, and 2G respectively. They provide between 500MB and 20GB data transfer per month, and all these affordable plans come with 1 FTP account, PHP + MySQL, and phpMyAdmin. The second set of plans – 1G, 5G and 20G – include extra features such as a Plesk control panel plus support for Python, Ruby, Perl, and Cron Jobs. The plan names reflect the disk space allocations (1GB to 20GB), and the monthly data transfer ranges from 10GB to 200GB. In terms of infrastructure, Dot.MG has servers located in French and American data centers, with connection speeds of up to 10Mbps. They do not use data centers in Madagascar due to recurring issues with local Internet service providers. All plans are priced affordably and in line with the resource levels they provide. They are certainly not the most feature-packed plans I have reviewed, and the low prices reflect this. Domain registration costs extra, but SSL certificates are included in all plans. Dot.MG’s payment terms are only annual, which is a little restrictive. Whilst there is no money-back guarantee, they do offer a three-day free trial which gives you a very small amount of time to try before you buy. Unfortunately, you can’t pay for plans online. You have to pay separately using some somewhat unconventional methods including Paypite, Mvola, Airtel Money, Orange Money, bank transfer, Bitcoin, or (quite remarkably) cash. Customer service is quite limited and is only accessible by telephone or email. There are no FAQs, no help documents, and no additional resources on the website. There are also no advertised business hours and no indication of their average response times. It’s a shame because, based on their website, I imagine them to be a small, friendly team who’d be only too happy to help. Dot.MG is a budget hosting provider with a unique take on resource quotas. If you fit into the very small niche of a Madagascan resident looking for U.S. or French servers at a good price, this provider could be a perfect fit. Wondering how Dot.MG stacks up against other Web Hosting companies? Enter any other Web Hosting company and we will give you a side-by-side comparison.